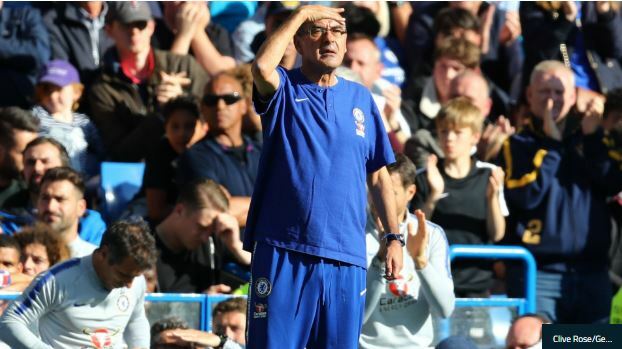 Chelsea manager, Maurizio Sarri has blamed his players for the Blues’ 2-0 defeat to Everton in the Premier League on Sunday. Goals from Rcharlison and Gylfi Sigurdsson ensured Everton defeated Chelsea at Goodison Park. Sarri, who refused to take the blame for Chelsea’s disappointing defeat to Everton, questioned his players’ mentality and insisted they would have lost, regardless of what tactics he used. Asked why Chelsea lost, Sarri told Sky Sports: “I don’t know. The player don’t know what happened. At the moment I don’t really explain the change. “We played in my opinion the best first half of the season. We could have scored four or five times. Suddenly we stopped to play. It’s very strange. “We stopped to defend, to counter-attack, to everything. We had only to continue, I think. We were in control of the match. “We played very well and needed to continue. at the beginning of the second half we didn’t play. It’s strange. I cannot understand.